James Schwarz, P.E., was named the 2008 Young Engineer of the Year by the National Society of Professional Engineers at the 2008 Annual Conference in Portland, Ore. In 2004, James Schwarz started his own civil engineering firm, J. Schwarz & Associates, Inc., in Corpus Christi, Tex., specializing in water resources, land development and project management. His design and project management experience includes water treatment facilities, water distribution systems, wastewater treatment, water system modeling and land development. Schwarz is currently working on a water system model for San Patricio Municipal Water District that includes modeling eight municipal water systems for use in the Initial Distribution System Evaluation for the Texas Commission on Environmental Quality. He also serves as district engineer for Nueces County Water Control and Improvement District #3 and has recently designed a number of commercial and residential land development projects throughout the coastal bend. Schwarz holds both a bachelor's and master's degree in civil engineering from Texas A&M University in College Station, Texas. As an undergraduate research assistant, he flew on NASA's KC-135 "Vomit Comet" to perform tests on simulated lunar soil under simulated lunar gravity and later authored "72 Hour Urban Highway Intersection Reconstruction" as part of his research as a graduate research assistant. Schwarz is active in NSPE as well as the Texas Society of Professional Engineers, currently serving as state director for the Nueces Chapter. He is the past chair of both the state MATHCOUNTS committee as well as the Young Engineers Committee. Schwarz is also committed to his community, actively volunteering with the Corpus Christi Beachcombers and recently joining the Portland Kiwanis Club. The Young Engineer of the Year Award recognizes young NSPE members who have made outstanding contributions to the engineering profession and their communities during the early years of their careers. Any licensed professional engineer or engineer intern who is an NSPE member in good standing and is 35 years of age or younger as of January 1 is eligible for nomination. 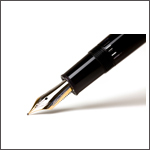 The NSPE Honor Awards Committee selects the recipient on the basis of educational and collegiate achievements, professional and technical society activities, civic and humanitarian activities, continuing competence and engineering achievements. 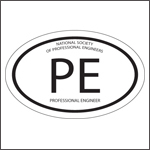 The National Society of Professional Engineers is the national society of licensed professional engineers from all disciplines that promotes the ethical and competent practice of engineering, advocates licensure, and enhances the image and well-being of its members. Founded in 1934, NSPE serves more than 45,000 members and the public through 53 state and territorial societies and more than 500 chapters. For more information, please visit www.nspe.org.